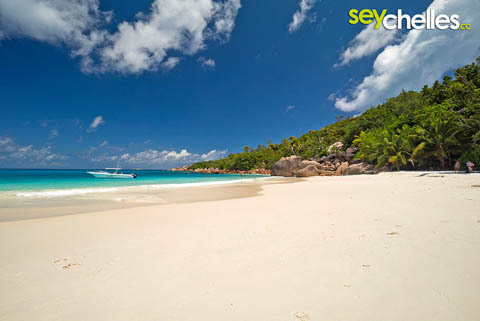 Anse Lazio on Praslin, like a few other beaches of the Seychelles is regularly voted among the best beaches in the world. And we definitely understand why. The beach is white and pure sandy, there is a lot of shadow from the trees, the water has the most beautiful turquoise of all colour palettes, the depth is just perfect for swimming and usually, waves are rather low. The only disadvantage: fame brings fellow tourists and if you are out for a lonely beach on your own, you might favour others. At no time in the year can you compare it to beaches in other countries - so this statement is only true comparing it to other beaches on the Seychelles. 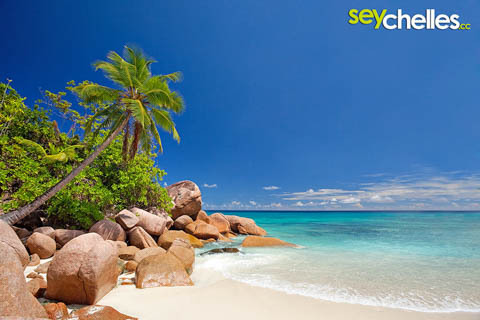 However, Anse Lazio is a must see when visiting the Seychelles and Praslin in particular. The beach is easily accessible by car, parking can be rather limited at times though. You can also come by bus and walk over the steep hill from the last bus station in Anse Boudin. 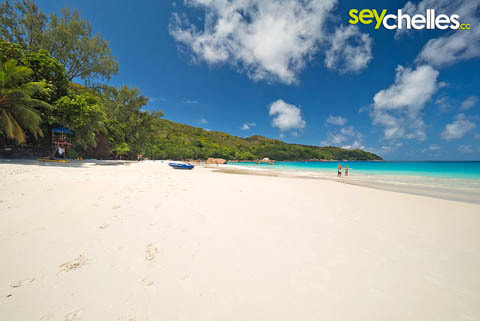 Anse Lazio is rather long and at the southern end, there are a two to three bays with a little more privacy. A little-known secret is another very small beach in the same bay (bottom right of our images). It´s accessible by boat or climbing over the rocks.